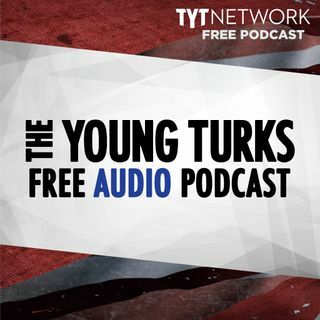 A portion of our Young Turks Main Show from March 13, 2018. For more go to http://www.tytnetwork.com/join. Hour 1: Cenk. After months of disputes with Secretary of State Rex Tillerson, President Trump removed him Tuesday and nominated CIA Director Mike Pompeo to head the State Department. Hours after his boss, Secretary of State Rex Tillerson, was ousted Steve Goldstein, the undersecretary of public affairs at the State Department, has been fired by the White House. Hour 2: A 17-year-old victim ... See More in a series of deadly package bombs delivered to homes in Austin, Texas, was identified Tuesday as Draylen Mason, as a law enforcement source revealed the same person may have constructed the three devices. Mason, described by Austin Police Chief Brian Manley as an "outstanding young man who was going places with his life," was killed when a package on the porch of a Texas home exploded Monday morning. His mother is in stable condition. The name of a 75-year-old woman wounded in a second incident Monday has not been released. The bombings have shaken residents and cast suspicion on one of life's common occurrences: getting a package delivered to your doorstep. Schwarzenegger planning to sue oil companies.